It's been hiding in their factory for a long time while they have been developing and testing. I had a sneaky look at it last April when we were looking at the EXP-6. Just as impressively built as it's bigger brother, no standing room inside though? Suspension: Bruder patented design, 12”inch adjustable wheel travel with correct geometry, 450 grade high tensile circular hollow section steel. Bruder specific 4x remote canister rose-jointed mono tube shock absorbers. Chassis: Air-tight & sealed (no holes) 125mm x 75mm with recovery winch mount. once my Powerball win comes in, one of the the smaller ones for short trips and the larger one for extended trips would be just fine thank you. sure is ugly... those wheel arches remind me of Obriens Trailers. I'll take a normal caravan. So it's basically a teardrop, but they do marketing very well! will be interesting to see the price, it should be a lot cheaper and therefore have broader market appeal. 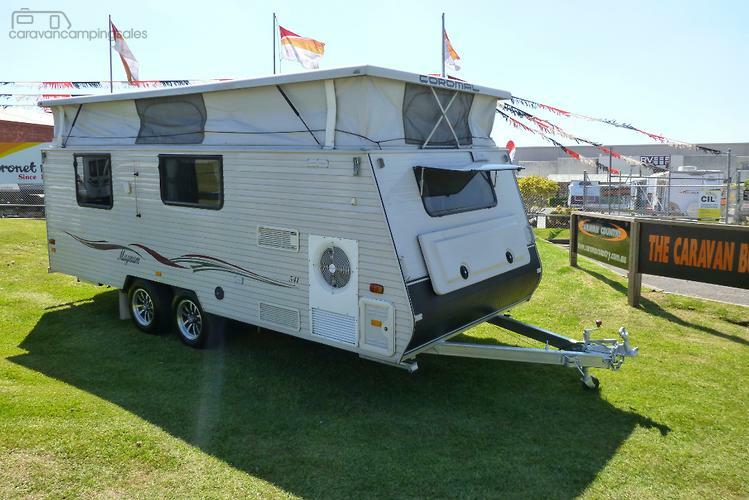 The Track Trailer Tvans have been in the silly price category for a long time and still sell well. I reckon this Exp4 will be competing with the Tvan to a large extent. fair call. the fact tis all 'shoot us your email for top secret price' points to it being high. So I'd be really surprised to see any change out of $65k for the Bruder EXP-4. I guess I see more value in a used Kimberly Hardfloor with 20k change. ........I guess I see more value in a used Kimberly Hardfloor with 20k change. But they still haven't fixed the number 1 issue that I see with every teardrop. The kitchen is exposed on the sides, anything more then a slight drizzle and you have to close it up. I've seen people try all sorts of crappy ways to fix this issue, with most just resorting to setting up a normal old gazebo behind the teardrop. I had high hopes that these guys would have thought of a great solution. Bit dissapointed with that one. That has to be a one month ban for hurting our eyes like that. So Murray could pump up either side of the suspension from his phone in the vehicle? And the suspension automatically leveled itself for camping? Wow, pretty impressive for 20 years ago? yeah I didn't mean it to be that it'll be successful future for them, just that's thier hope....the yanks are used to things being much cheaper then we pay for them, so would be a tough market there also.